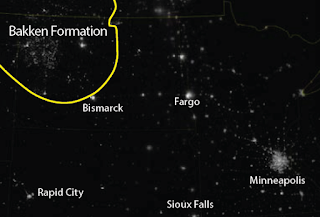 Ever wonder about those satellite images in the media that show bright lights in the middle of sparsely populated areas of western North Dakota? Magazine articles published recently regarding oil production and associated gas flaring in the Bakken oil play show the night sky looking more like New York City, Boston, or Chicago than rural western North Dakota. Realistic satellite images of associated natural gas flaring in the Bakken oil play region of North Dakota. Inaccurately derived flare images that are usually highly processed, manipulated, and often amplified 100x. Many published images tout new types of satellite imaging used to examine gas flares but seldom explain how the images are derived. These images are misleading in that they give the uninformed public the idea that flares are literally lighting up many square miles of prairie countryside, creating visible light similar to large metro areas. 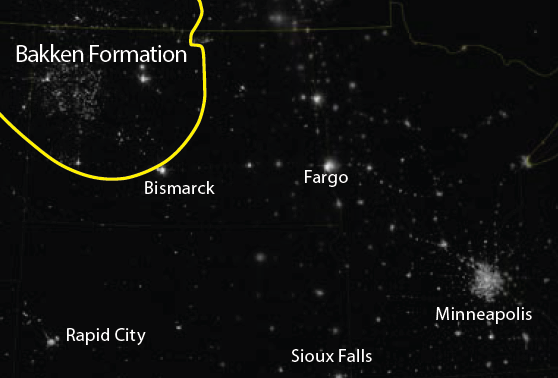 So does the sky in western North Dakota really light up like a million-person metropolis? A casual drive on any evening through counties of the Bakken oil play shows otherwise. So how are these satellite images being formulated? Researchers from the University of North Dakota (UND) Energy & Environmental Research Center and the John D. Odegard School of Aerospace Science’s Department of Earth System Science and Policy joined forces to get a better understanding of these bright satellite images. Following a year-and-a-half of study, a report has been released revealing the science and the factsbehind these images. Download the project summary now. For more information on the EERC's Bakken resources, click here. Understanding the detailed physical and chemical structure of a reservoir will lead to better reservoir modeling, more optimal recovery strategies and, overall, more economical recovery of greater amounts of hydrocarbons. The Natural Materials Analytical Research Laboratory (NMARL) at the Energy & Environmental Research Center (EERC) is able to provide timely, critical data to enhance our clients’ projects. Our analytical facilities combined with an experienced team of researchers provide a full range of advanced materials characterization and data interpretation using a variety of specialized equipment. “We provide targeted solutions in all energy areas, including characterization of rocks from conventional and unconventional reservoirs to better understand primary oil production, CO2-based enhanced oil recovery, and CO2storage. We also characterize materials used or generated during oil and gas production, such as metal pipes and production tubing, which often experience corrosion- and scale-related issues,” said Senior Research Manager Beth Kurz, who oversees several of the EERC’s analytical research laboratories serving the Oil and Gas Group. “As the oil and gas industry has learned how to more efficiently extract hydrocarbons from unconventional reservoirs (i.e., characterized by very low permeability and porosity), our focus has been to provide better understanding of the rock characteristics that influence oil and gas extraction. Since wide-scale production of oil and gas from unconventional reservoirs is a relatively new paradigm for industry, it is surprising how much is still unknown regarding the small-scale features within the reservoir rocks, such as micro- and nanoscale fractures and pore networks, and how they affect production,” said Kurz. Development of one of the largest unconventional oil and gas plays in North America is occurring in North Dakota and Montana, with oil-in-place estimates in the Bakken petroleum system ranging from 300 to 900 billion barrels. Using current methods, recovery of that oil is estimated at between 4% and 6%. Development is expected to continue for decades to come. New analytical techniques that provide even greater amounts of critical data are continuously being developed, especially in the areas of imaging and mineral mapping. By integrating polarizing light microscopy imaging and mineral identification with scanning electron microscope (SEM) imaging and particle chemistry, along with x-ray diffraction (XRD) mineralogy and SEM mineral mapping, a fairly detailed inventory of grains or minerals can be compiled, along with their relationship to each other and the environment to which they are, were, or will be exposed. This information can be used in a number of different ways, whether in unraveling the depositional and burial history of rocks, reconstructing fluid pathways in the rocks, understanding corrosion mechanisms of tubing and casing, or predicting mineralogical effects that enhanced oil recovery techniques may have on the reservoir. This SEM backscattered electron image is of a Bakken Middle Member sample with a corresponding mineral map. The dark lines are fractures, and a small amount of illite (a clay mineral) can be seen filling some of the fracture network in the mineral map. Fracture networks are the pathways for fluid migration in low-porosity rocks, and mineralization along those pathways can impede flow. The analytical tools housed in NMARL are particularly well suited for reservoir characterization. Years of experience with the capabilities and data interpretation of SEM, XRD, and x-ray fluorescence analyses support the EERC’s expertise in reservoir characterization. To find out how NMARL can help enhance your projects and activities, click here. If you have questions on how NMARL capabilities can help you, call Senior Research Manager Beth Kurz at (701) 777-5050. The University of North Dakota Energy & Environmental Research Center (EERC) is leading a high-profile project focused on demonstrating the potential for enhanced oil recovery (EOR) to significantly increase oil production from the Bakken petroleum system under a broad range of economic conditions. In the world of oil and gas, one thing is certain: prices will fluctuate. In the past year, oil prices in the United States have decreased more than 40%. This is great news for consumers, but what does it mean for the oil industry? John Harju, Associate Director for Research at the EERC, believes the recent drop in the price of oil is causing people industry-wide to rethink business plans for 2015. “When people rethink their budgets and consider Plan A, Plan B, or maybe even C or D, you know they are setting priorities right now,” said Harju. Regardless of what oil prices will do, Harju sees 2015 and outward as a tremendous opportunity for EOR, and multiwell pads will ultimately facilitate that. Through the Bakken CO2 Storage and Enhanced Recovery Program, the EERC has teamed up with industry partners to explore the benefits of using CO2 for EOR. The program is currently in the second phase, which focuses on additional laboratory- and modeling-based investigations to support the design of an injection/production scheme and also focuses on providing technical support (additional laboratory work, modeling, and monitoring) to a pilot-scale field demonstration, with the ultimate goal of conducting pilot-scale injection test(s). This partner-driven program provides stakeholders with new information and data regarding the ability to realize improvements in oil productivity through CO2 injection in tight oil-bearing formations. With rig counts down but well counts up, Harju says he would like to see even more efficiency in the oil production process. The big contributor could very well be EOR. To discuss program membership, contact James Sorensen, EERC Senior Research Manager. “My time with the Energy & Environmental Research Center [EERC] was, without a doubt, one of the pivotal moments that helped guide me to where I am today,” said Justin Kringstad, Director of the North Dakota Pipeline Authority (NDPA) and former student employee at the EERC. A native of Bismarck, North Dakota, Kringstad graduated from the University of North Dakota (UND) in 2007 with a degree in Geological Engineering. He is just one of more than 350 students (undergraduate through postdoctorate) who have worked at the EERC through its applied research programs to receive on-the-job training. Employment opportunities for students at the EERC have ranged from multiple years of project work to summer cooperatives. In fact, a number of engineering students have utilized EERC project experience for graduate theses. In addition to technical positions, the EERC also employs students in administrative and service roles. “To work side by side with world-class experts in cutting-edge research facilities was exactly what I needed to push myself academically and professionally. The character traits and professionalism I experienced during my time at the EERC are still influencing me today,” Kringstad said. He says the most valuable lesson he took from his experience at the EERC was that to be successful, people need to keep expanding their knowledge base and not settle for the status quo. “It was critical for me to learn how to connect the material I learned in the classroom with outside research and then apply it to real-world challenges. The icing on the cake is that the professional colleagues and friendships I established at the EERC are still being fostered today,” Kringstad said. The North Dakota Legislature established NDPA in 2007, and Kringstad was named Director in 2008 by the North Dakota Industrial Commission. The nonregulatory organization is tasked with facilitating the development of pipeline and processing infrastructure to meet the growing levels of crude oil and natural gas production. Since being hired, Kringstad has been extremely busy overseeing the planning, siting, and construction of intrastate and interstate pipelines needed to enhance North Dakota’s energy resources and encourage the export of those resources. Kringstad says the state is in need of newer, larger pipelines to accomplish that goal. “From a big-picture view, North Dakota’s pipeline infrastructure is still relatively young. Going forward, there will be ongoing efforts to build additional pipeline systems to not only move products to consumers outside of the region, but also to expand the smaller gathering network in order to reduce flaring and safely move fluids within the producing fields of North Dakota,” he said. While the tasks keep piling on, Kringstad is well equipped to handle the challenges and says he has UND and the EERC to thank for setting the stage for a continued successful career. “I’m blessed to have lived in North Dakota my whole life, and I have every intention of staying here and focusing my career on the safe and efficient development of North Dakota’s vast energy resources,” he said. Even current students are seeing the positive value that the EERC offers, much like Kringstad described. One of the EERC’s current student employees, Tyler Newman, a senior mechanical engineering major at UND, is part of the EERC–UND Student Collaboration and Engagement Program, sponsored by UND Provost Tom DiLorenzo. The program is fostering a strong link between the EERC and UND's academic programs, such as engineering and geology. As part of his “discovery” paper, which is being incorporated into a larger report to the Provost on the program, Newman stated that the most important thing he’s taken away from his time at the EERC is the collaborative learning environment. “Other than my exposure to group work in senior design, the EERC has taught me how important group work is,” said Newman. “It has allowed me to develop stronger communication skills, challenge assumptions, refine understanding through discussion and explanation, and manage my time effectively. The employees at the EERC share diverse perspectives, allowing them to tackle much more complex tasks than any one person could do individually,” he said. If you’re a current or past client of the Energy & Environmental Research Center (EERC), you may not realize that student employees are working alongside our researchers to provide you with the critical information you need. Employing and training students are long-standing traditions at the EERC. The students receive a commensurate salary and/or academic credit for work performed at the EERC, but even more valuable than that, working at the EERC allows students to gain real-world experience that will support them in their academic studies and in future jobs. The EERC usually has at least 20 student employees working in research areas, Procurement, Facilities, the Library, and other areas. Several UND students who were hired at the EERC last semester talked about the value of their experiences. Most of them plan to continue working here as they pursue their degrees. Ian Feole and Faye Ricker worked on the EERC Oil and Gas Group’s residual oil zone project, an effort to identify new oil prospects based on hydrocarbon migration. Feole is a senior from Shelbyville, Kentucky, pursuing a Geological Engineering degree. He is assisting in the development of a comprehensive 3-D model of the Williston Basin. Ricker, a master’s degree student in Geology from Starke, Florida, researched the current and paleo heat flow in the Willison and Powder River Basins as part of an effort to develop a regional model for identification of residual oil zones. “The work I did at the EERC was highly relevant to my own graduate research, and the access to the facilities and expertise here was a great advantage,” Ricker said. Caitlin Gangelhoff is a senior in Criminal Justice from Bemidji, Minnesota. She is serving as a Safety Intern in the Environment, Health, and Safety Office assisting with developing safety procedures, understanding and applying policy regarding hazardous materials, and performing safety inspections. A junior from St. Paul, Minnesota, majoring in Chemistry, Biology, and Forensic Science, Brianna Gysbers is working in the EERC Process Chemistry and Development Laboratory on a variety of different pieces of analytical equipment. “This experience will help me learn how to use the equipment I’m learning about in class and give me the work experience I need for a future in the Forensics field,” said Gysbers. Whitney Page, a junior in Petroleum Engineering from Bottineau, North Dakota, worked on projects with the EERC’s Plains CO2 Reduction Partnership evaluating history-matched reservoir simulation results, well logs, and other reservoir surveillance data for an oil field undergoing enhanced oil recovery. Originally from Colombia, South America, Gloria Rodriguez said that she now calls Grand Forks her hometown. She is a sophomore in Business and Public Administration Information Systems majoring in Networking. She is working in the EERC Research Information Systems (RIS) Group programming the EERC’s Web site. “Working here gives me the chance to learn new skills and improve other ones. Every day, I go home with something new that I have learned. This job is giving me the tools to succeed on my career path—not just for building strong hard skills but soft skills such as team work and peer collaboration,” Rodriguez noted. The students aren’t the only ones who benefit from and value the mentor–student relationship. “One of the things that I really like about working with students is the sense of excitement and eagerness that they bring to the projects,” said John Hurley, Senior Research Advisor and mentor to two of the EERC’s new student employees, Garrett Georgeson and Subin Shahukhal. Georgeson is a junior in Mechanical Engineering minoring in Mathematics. 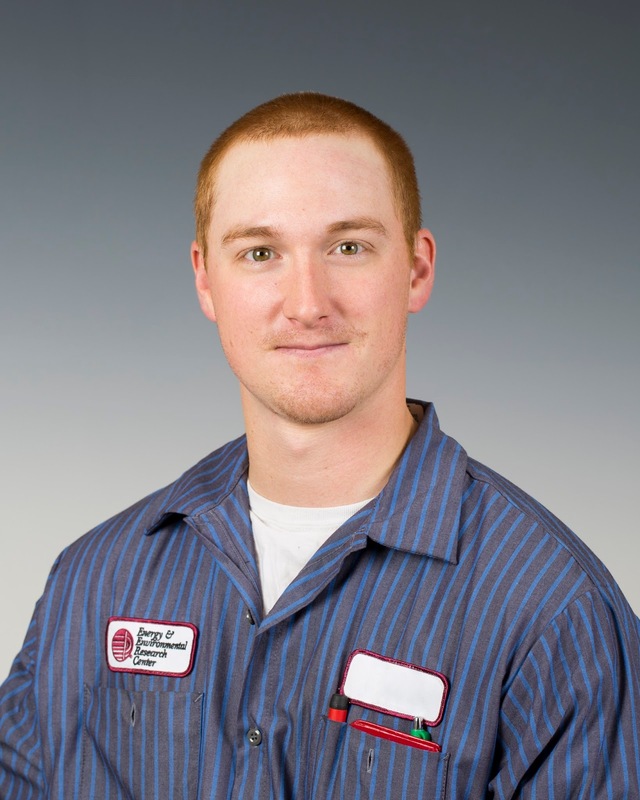 The Crystal, Minnesota, native is specializing in Material Science and Manufacturing, which makes his work developing a new process to produce turbine engine components with better mechanical properties and overall life cycles particularly relevant. Shahukhal, who is from Kathmandu, Nepal, is in the final year of his master’s degree studies in Mechanical Engineering. The benefits to students of practical, guided work experience can be immediate and life-changing. “In addition to their valuable contributions to our research projects, students who engage in a mentored work experience are far more likely to stay at UND, graduate on time, and encounter better job opportunities upon graduation,” said Erickson. 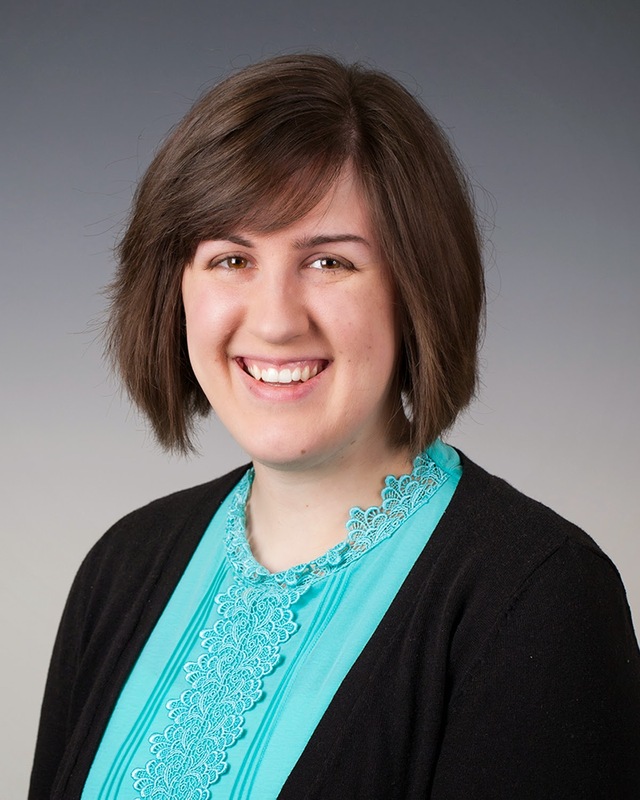 The EERC is pleased to introduce Sara Lahr as the newest member of our Research Information Systems (RIS) group. Sara’s education, a B.A. degree in Computer Science from the University of Minnesota, Morris, and her prior work experience make her a valuable member of our team, providing software solutions for our clients that allow them to operate more efficiently and process large amounts of information quickly. Sara brings experience and expertise in developing Web-based applications, optimizing the user interface for efficiency and ease of use, and mobile application development to enhance accessibility and functionality for our clients. Lahr’s strong work ethic started on a dairy farm near Sauk Centre, Minnesota. Her passion for software development started in her senior year of high school, when her math teacher recommended that she take a beginner computer science class which he also taught. “After that, I was hooked,” she says. Lahr’s enjoyment of reading and learning about philosophy as well as advances and trends in the technology world help her continually prepare for the opportunities ahead. When not developing new software solutions, she loves baking, board games, classic literature, and spending time with friends and family. 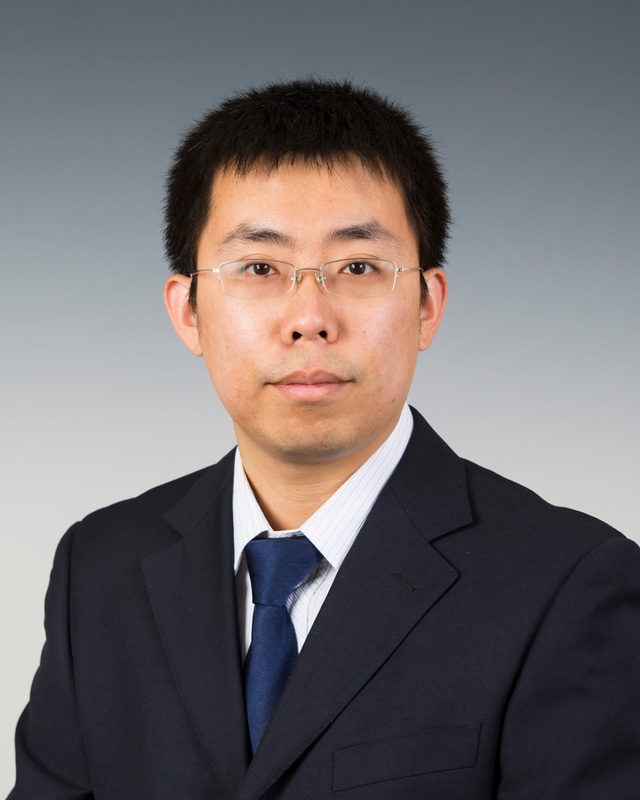 The EERC welcomes Tao (Todd) Jiang, a Research Engineer in Reservoir Engineering. 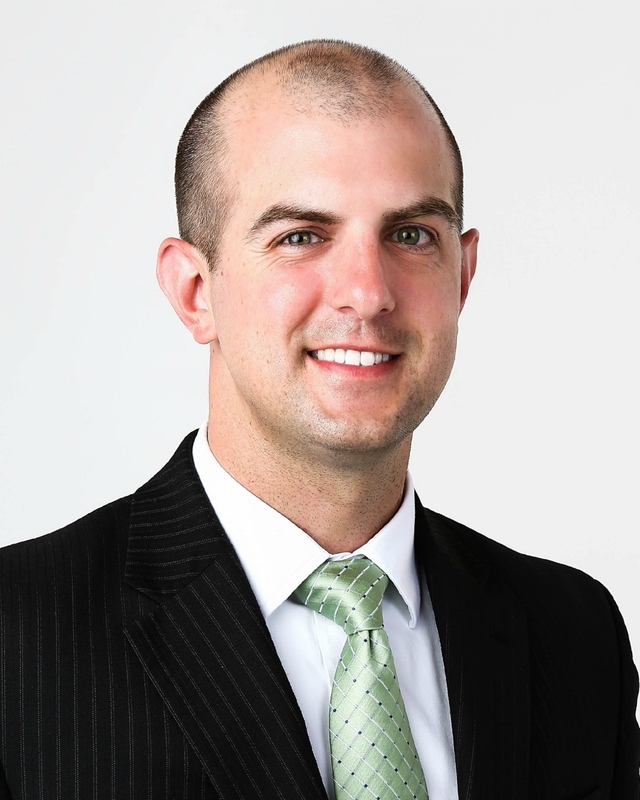 In his new position, Todd uses oil and gas industry simulation software to develop geophysical models of the subsurface and run dynamic simulations to determine the long-term fate of produced/injected fluids, including hydrocarbons, CO2, and brine, for clients. Todd brings key knowledge and expertise to our team, including the areas of reservoir and wellbore modeling and simulation, solvent and CO2-assisted enhanced oil recovery technology development and operation optimization, carbon capture and sequestration, field planning, and reservoir characterization. He holds a Master of Applied Science degree in Petroleum Systems Engineering from the University of Regina and a bachelor’s degree in Petroleum Engineering from Southwest Petroleum University in Sichuan, China. Todd says he likes that the work the EERC is doing provides not only important research data of value to the energy industry but helps society to reduce greenhouse gases, which will benefit future generations. “It is also great to work in a multidisciplinary team where we discuss and share our expertise,” he says, which ultimately adds to the EERC’s research knowledge to better assist clients. Todd was born in Shaanxi Province, China, and grew up in Xi’an, which had been the capital for 13 dynasties, including the Qing dynasty and the Tang dynasty. He and his wife have a son who was born on New Year’s Day this year. When he’s not working, Todd likes watching movies, traveling, and exploring nature and different cultures. The EERC welcomes Research Instrumentation Technician Jess O’Brien to the EERC family. Jess installs, maintains, repairs, and operates instruments and equipment used in field-, pilot-, and bench-scale testing for client-driven research and projects. He also participates in research work, including assisting with test programs, adapting equipment for nonstandard applications, and developing new sampling technologies. Jess holds A.A.S. degrees in Instrumentation and Control and Telecommunications from Bismarck State College. Originally from Dickinson, North Dakota, Jess first became aware of the field of instrumentation and control while taking general college courses. After he talked to professors in the field, he knew he would enjoy the work, so he pursued it as a career. In his spare time, Jess likes to ride his motorcycle, hunt, and fish. It’s been a whopping 530 years! Combined years of service and expertise, that is. Thirty-one EERC employees were honored at the EERC on June 3, 2015, for their years of service to UND. “We sincerely appreciate the time and dedication that each of these employees, and all of our employees, give to advancing the vision and mission of our organization and providing solutions for our clients,” said EERC Director, Tom Erickson. These employees were also honored at UND’s Staff Recognition Luncheon held on May 12. Front row, left to right: Jane Russell (25), Sandra Van Eck (10), Loreal Heebink (15), Beth Kurz (15), Kari Gagner (5), Christin Fine (5), Erin O'Leary (25), and Lucia Romuld (25). Middle row, left to right: Joyce Riske (25), Patricia Kleven (25), Kari Lindemann (15), Charlene Crocker (20), John Kay (20), Rhonda Olson (20), Susan White (20), Shannan Longsdorf (10), and Stacy Halverson (10). Back row, left to right: Steve Smith (10), John Richter (25), Richard Schulz (30), Curt Foerster (30), Marc Kurz (20), John Hamling (5), Robert Jensen (20), Tami Votava (15), and Tom Erickson, EERC Director. Not pictured: John Butler (5), Christopher Larson (5), Donald Schaffer (5), Steven Schlasner (5), Dan Daly (30), and David Westerman (35).